For your next flooring project, we're here to offer reviews and pros & cons of the best bamboo flooring options for the top bamboo floors! When people are looking for a natural surface to cover their floors with, bamboo is one of the top options. Though it is a type of grass, users find that this covering material provides both the drawbacks and positive benefits of hardwood flooring. These properties and vulnerabilities that match hardwood flooring almost exactly make it a top lower-cost, highly sustainable choice. One of the great benefits of this flooring is that it comes in a number of colors and styles at a cheaper cost than real wood. The bargain prices on this material make it a top choice for those looking for a home flooring solution. The simple installation and maintenance help in deciding whether or not the properties of this flooring will work for you. To help with your decision, we’ll also take a look at the most common options on the US market available for purchasing! 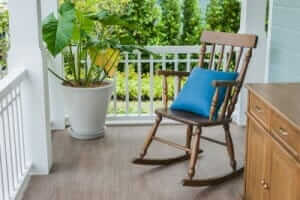 There are a number of benefits available to those who make use of bamboo flooring. One of the first is the price, which can be similar to that of hardwood floors. Depending on your budget, you’ll be able to find options that range from $2 per square foot to $8. Many users also find that bamboo has a great look that won’t make your flooring appear cheap. 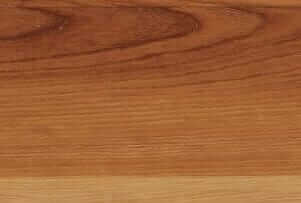 You can also find types of bamboo flooring that are highly durable, some rivaling the durability of red oak. 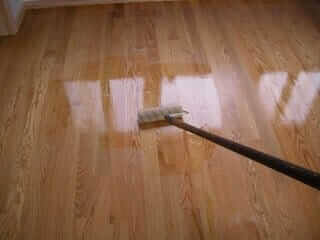 Another great benefit is that you’ll have the option to refinish it to keep it looking great as it ages. For those who are keen on something eco-friendly, bamboo is a highly sustainable resource. That means you’ll get a unique look that won’t cause as much damage to the natural environment as other options. Furthermore, bamboo is easy to take care of, requiring the regular vacuuming (or buy a hardwood floor-specific vacuum) or sweeping to keep dust from building up. It’s also a little more resistant to water damage than regular wood. As a result, it’s a better option for households with small children or in the bathroom or kitchen. While it may be more resistant to water damage than wood floors, it isn’t waterproof entirely. Bamboo flooring is still very prone to mold and other problems caused by water. It’s also not a good idea to use this type of flooring in high-humidity areas. That is because as they can change shape as the humidity changes, resulting in cracks. 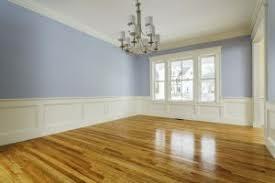 In addition, bamboo flooring is softer than other types of flooring like hardwoods. Essentially, you can expect that the darker the planks are, the softer they’ll be. Meanwhile, strand woven bamboo and un-carbonized options can still be quite hard. This is important to keep in mind while you shop. Though bamboo is typically quite easy to clean and maintain, it is also prone to scratches. Things like furniture legs, pet claws and small bits of dirt can result in scratches on the flooring quite easily. It can be nearly impossible to keep this flooring scratch-free. Furthermore, while it is a natural option, bamboo flooring is also made with adhesive made up of volatile organic chemicals. Depending on the option you choose, some bamboo flooring types can release more of these chemicals into the air. That may not only be an unpleasant experience, but can also effect the health of those who have frequent contact. Before you begin shopping, take into consideration what kind of planks you’re keen on. Also, think about whether you want them installed horizontally, vertically or through strand woven means. Horizontally is the most common method, but you may get a stronger result from strand-woven installation. There are several places where you can find quality flooring. A couple of those options are ones that you can even visit in person to take a look at the flooring before you buy. 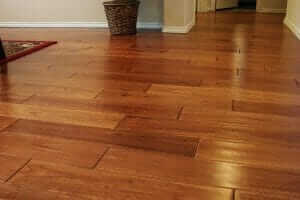 For example, Lowe’s is a great option for bamboo flooring that is medium to high range in quality and price. Home Depot is also a great option when looking for bamboo flooring. 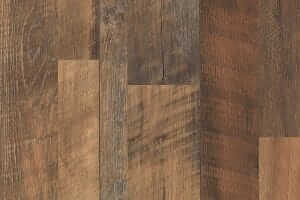 They have a large selection of mid-range floors that come in many styles and colors. If you’re looking for something more high-quality they can carry some of those options as well. Another option you have is Wayfair, which can be a little more costly but includes excellent options for the price. You’ll be able to find a range of options from a little under $3 per square foot to around $9.25 per square foot. That will allow you to find a style you want within your price range. What Are The Lowest Prices? As mentioned earlier, you can typically expect to pay around $2 to 8$ per square foot for bamboo flooring. There are some options on either side of that pricing point. However, they tend to be outliers when compared to the majority. It’s not typically a good idea to go too far into the low end, as there can be declines in quality. 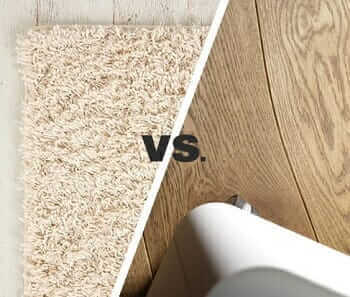 While you may be able to find flooring for $2 or less, it may be thinner or softer than options that are more expensive. These kinds of things can make the flooring not a lasting solution. You’ll want to start by measuring out the space that you want to add new flooring to. This helps to determine the full square footage that you’ll need. In addition, you’ll want to take into consideration that different flooring options can offer a different amount of square footage per box. Once you know how much you’ll need, you can start considering your budget and shopping for flooring options. It won’t take long for you to figure out what price ranges offer lower, median or high quality. In most cases, paying a little more can result in better flooring. How Much Does It Cost For Decent Natural Flooring? If you’re looking for something that is going to be lasting, you’ll want to take at least the median route when it comes to the cost of the bamboo flooring you choose. Many of these options can range from $2.99 to $4.99 in price. While this cost is a little more than some other low-cost options like laminate and vinyl plank, it comes with all the benefits that bamboo offers. Many also have coatings that help to keep them protected against common forms of damage. If you want something very high-quality, you’ll have to look at options above the $4.99 mark. It’s very important that you shop carefully and compare the different options that look appealing to you so that you can get the best value for the lowest cost. If you find that the quality flooring you want is outside of your budget, it’s better to save and wait than purchase a lower-quality flooring. While there are some who complain about the durability of bamboo flooring, it’s important to remember that this is often due to it being placed in extremely high traffic spaces or that it has been installed poorly. When installed correctly in a typical residential space, it can last a good 20 to 30 years. A big part of what can determine this durability is the coating placed on the bamboo. If you get something with a high-quality, thick coating then it’s going to be more likely to last. On top of that, you’ll likely get a warranty with the flooring that lasts at least 10 years if you get it from a reputable source. That can help to give you a little added comfort just in case something should happen to your flooring. Aside from that, you’ll also need to make sure to care for it correctly. Because it’s a newer option on the flooring market, it can be difficult to tell if bamboo flooring will be as durable for as many years as other options. Only time will tell when it comes to that regard, but the warranty is sure to help a lot. While bamboo flooring is a highly popular option, it can be hard to tell which option is the best. There are quite a few manufacturers and brands out there that may have varying prices, quality and styles. If you’re new to bamboo flooring, you may not know much about the options at all. Luckily, we’re here to help out by providing information on some of the popular brands out there. That way, you can have a clear understanding of what each has to offer. Consequently, you’ll be able to go forth into your shopping with some beginning knowledge on what’s out there. Teragren is one of many fantastic options to look into while shopping for bamboo flooring. They offer about eight different bamboo flooring options, including some different colors and styles. You’ll also have access to different finishes to get exactly the look you’re searching for. Another key point of this company is that they have a large focus on fair trade. Because of that, they have had a fair trade agreement with bamboo farmers in China as well as factory workers who help with getting the flooring into a state that is ready for purchasing. That’s a highly important aspect for those who want to know that their product is coming from a reputable company that has respect for all the workers involved in the process. Not only will you get a fair price, but you can trust that employees will get a fair payment. If you want to take a look at what this company has to offer, you can look at their website. It’s easy for users to navigate, making it a convenient source for those who are shopping for new flooring. You’ll also be able to find some guides for installing the flooring. For those who are looking for something of a higher quality, Plyboo is a great option. They are the first bamboo flooring company, beginning in the US in 1989. Over time, they have grown to be able to offer high-quality bamboo as well as safer adhesive options. Most bamboo flooring adhesive is made with formaldehyde and other kinds of chemicals that aren’t the greatest, but Plyboo makes options that are based on soy, making them much safer to use. This option is not only better for the homeowners, but more environmentally-friendly as well. It’s important to keep in mind that alongside these improvements, there is also a larger price tag. Most of their flooring choices come in at around $5.99 per square foot, which is pricier than other options but certainly not the highest prices out there, especially considering the added safety included in their flooring adhesive. If you want the added safety and eco-friendly nature offered by Plyboo then it’s a good idea to spend a little time saving if it’s outside of your price range. Otherwise, you can give them a call or check out their website to find the option that will be the best for you! If you’re keen on using recycled products, Eco Fusion strives to use increase their use of recycled materials in creating sustainable, safe flooring. This is great because bamboo is already known to be a quite sustainable option, but using recycled materials on top of that makes the flooring even more eco-friendly. Currently, they have some options that combine bamboo strands and hardwood that came from old furniture. This combination provides you with the benefits of both wood and bamboo. Eco Fusion uses this combination to make their highly-praised Strand-Woven and Color Fusion options, which many adore. Furthermore, Eco Fusion provides flooring options that don’t use any adhesives made with formaldehyde. That means they’re going to be safer and more natural, as some can find problems with the chemicals in other types of adhesives when it comes to overall safety. As a result, their products can be a little more expensive. Many average out at about $6 for each square foot. However, with that price you also get a 35-year warranty which ensures you’re backed by the manufacturer for many years. In combination with the formaldehyde-free adhesives, you really get a lot of value for the cost! For those who are looking for something at a lower cost, Ambient Bamboo offers flooring choices for as low as about $2.89 per square foot. You can also find some options that are a little more than that, so there’s a decent selection when it comes to affordable flooring. On top of those low prices, this is also a company that includes lifetime warranties with the flooring you buy. That’s an incredible addition that will allow you to trust that your flooring will be protected if there should be any problems with it. Like some other companies in this article, they also use a formaldehyde-free adhesive so your flooring will look great, be comfortable and safe for everyone in the home. Being a younger company that began in 2005, Ambient has done a lot to provide customers with great quality and low prices. In addition, if you like using underfloor heating then you’ll be able to find great options here that can be installed on top of that. Feel free to take a look at Ambient’s website to get some good ideas and get started on your flooring shopping! There are many options to choose from! Us Floors is a manufacturer that focuses on creating unique flooring options as well as sustainability. They really strive to create interesting options that can appease a wide range of people and offer prices that many find to be very affordable. This combination has made them a very popular option. For the most part, they have four different collections that you can choose from. These are the Expressions, Traditions and Corboo lines. This Corboo line really allows the company to stand out due to this unique combination of cork and bamboo that draws the eyes of many shoppers. Essentially, the Corboo line uses natural cork seams to sting together bamboo strands. This winds up creating a very interesting look and may be a little more warm and comfortable to walk on when compared to full bamboo flooring or hardwood options. It’s also offered in a variety of colors. With so much to offer, it’s well worth taking a look into what US Floors has to offer. You may be able to find exactly what you’re in the market for or something wonderful that you hadn’t considered yet. They have plenty of great options in several colors and styles that are worth taking a look at! Another fantastic company that uses recyclable materials is Cali Bamboo, which is said to use an amazing 40% recycled plastic. This helps to ensure that all of the flooring offered by this company is very sustainable and renewable. It’s a great option for those who are keen on keeping a small footprint. This is also a great company to go with if you want the hardest bamboo flooring possible. With a Janks scoring of over 5000, you can really trust that this flooring is going to suit your needs! Furthermore, all their flooring is able to be installed in the click-lock system that is known to be very easy to use. This makes it a great option for do-it-yourself homeowners as a result. That allows you to save money in the installation process as well as the flooring. So if you’re on the hunt for something very recyclable, sustainable and easy to use then make sure to take a look at the Cali Bamboo website! You’ll be able to find a variety of products that can work for just about any environment, whether it’s indoor or outdoor.